Clarification to the Hours of Service exemptions for agricultural transportation and personal conveyance have been issued by the Federal Motor Carrier Safety Administration, and on the surface lean toward liberalization. The biggest issue with the agricultural exemption is the 150 air-mile radius, defining the scope of the area where the HOS rules do not come into effect for haulers of agricultural products. The FMCSA guidance--which is to be published in the Federal Register next week--gave wide berth a driver's activities within the 150-mile radius. It defines the location of the destination is 150 miles from the source (which it also defined liberally as not just meaning a farm, but could also include a grain silo or some other type of midstream facility). "The agency proposed to interpret the exception as available to a driver transporting agricultural commodities for a distance up to 150 air-miles from the source, regardless of the distance between the source and final destination or place of delivery," FMCSA said in its guidance document. When that 150-mile point is crossed, FMCSA said, the HOS rules kick in. But the hours "accumulated" in the 150-mile radius are not the starting point for the HOS rules; they're still not counted. If the agricultural driver exits the 150-mile radius, the HOS rules are in effect until the driver gets back into the radius, according to the FMCSA guidance. The 150-mile area is an HOS-free zone. "FMCSA believes it would be contrary to the purpose of the exception to apply it to only one portion of the trip within the 150-mile radius," the guidance said. The one area where the new guidance could be viewed as having been more strict is the definition of where the trip starts. For example, if a driver starts in town A, then goes to town B for a pickup and then to town C for another one, before heading off to the destination, does the 150-mile radius start with town A or town C? It starts with town A. "Most commenters agreed....that the 150 air-mile radius should be measured from the last pick-up point, not the first point as proposed." But FMCSA did not agree. "FMCSA notes in the interest of safety that, under a contrary interpretation that restarts the 150-mile exception with each new source, a motor carrier could effectively extend the exception indefinitely," the guidance said. In its personal conveyance guidance, FMCSA said it believe that the new guidelines will enhance safety. With a driver facing the end of hours of service, and looking for a place to park, it would benefit safety to view that search as falling under the personal conveyance rule, which doesn't count those hours against HOS. 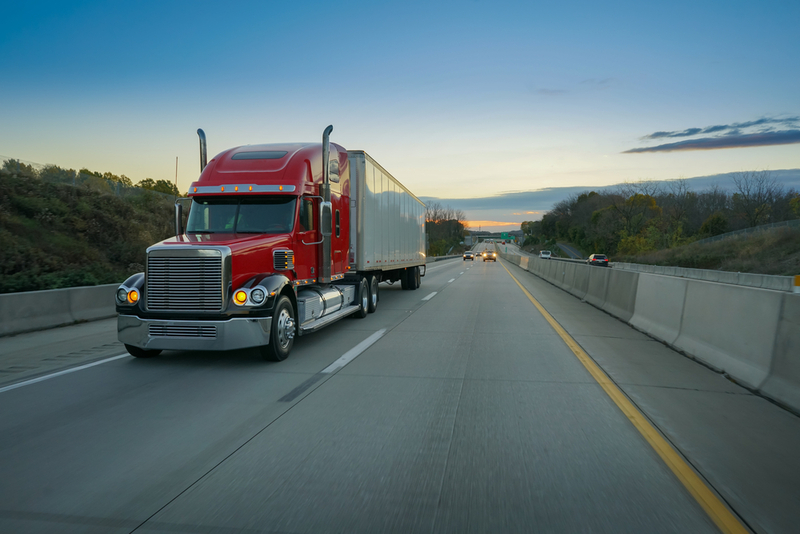 "This guidance will have a positive impact....by giving drivers the flexibility to locate and obtain adequate rest as this would be odd-duty time in personal conveyance status," FMCSA said. "If the driver process to the nearest reasonable and safe location and takes the required rest, this would qualify as personal conveyance." Additionally, it will be acceptable to make that move in a truck that is laden. FMCSA said that is a reversal of past practice. But moving a truck closer to its final destination, in an act that would "provide a commercial benefit to the motor carrier," would not be personal conveyance. FMCSA also made clear that personal conveyance is an "off duty status," and therefore makes no impact on HOS rules. In its document, the agency did not that in its request for comments, some of the commenters went off-topic to ask for changes in that rule, even though that was not what was being proposed. In a conference call with reporters, Joe DeLorenzo, FMCSA's director of enforcement and compliance, made that distinction when he said that to be considered off-duty, "you have to be relieved from work and any movement in the (vehicle) will have to be of a personal nature." He also said that the process in establishing this guidance always ran the risk of "getting bogged down in a lot of scenarios."